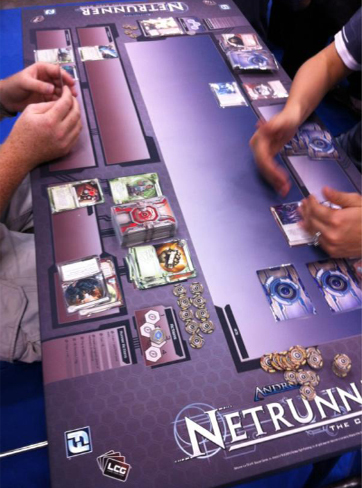 Android: Netrunner is an two player card game. The theme is a cyberpunk future where lone runners are working against an evil mega-corporation and its massive resources. This board game is unique in that it is fully asymmetrical. So, both players have an excellent different game-play. 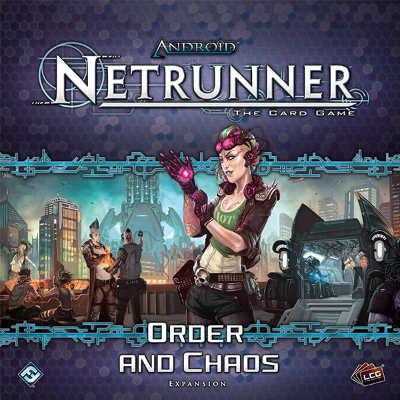 One player is controlling the corporation and must advance their agendas to score by setting up security programs. Complex security systems serve as their weapons. The corporation must secure their intellectual properties on the servers against the incursion of the Runners. The other player, "the Runner", will develop resources needed to hack the corporate security measures. This job is always a little desperated because of tight timelines and shrouded in mystery. The "server" means certain game zones of the Corporation to attack like a hand, discarded cards and the player's deck. Agenda cards, upgrades and assets form "remote servers". During a turn a player has a strict amount of actions, also known as Clicks, to do. The Runner can perform four actions, while the corporation has only 3 clicks. The runner always chooses a server to attack. Whenthe server is unprotected, he get free access to it. The agenda cards are the most valuable to plunder. Apart from stealing, the runner may crash the equipment of the server. The runner plays cards always face up while the corporation plays them face down. The runner must try to find the agendas by making deductions. Some assets are counters and can confuse the runner. The attack fails, the runner takes damages and might even die. The corporation defends the servers using Ice cards (placed facedown). However, to counter Ice, the runner can play Icebreakers. On his turn, the corporation player have different options: draw cards, gain money, install cards, play cards, and advance cards (like agendas). 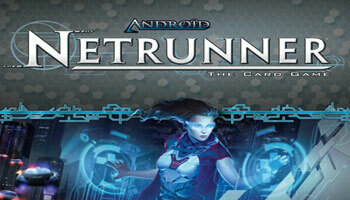 On the runner's turn, he can draw cards, gain money, install cards, play cards and he can also make a "run." Making these runs is the crux of the game. Therefor he first chooses the target. Now, he encounters each piece of ice on that server. The corporation can rez the ice when the ice is face down. Only then the Ice gets in the runner's way. During the run, the Runner will also use Icebreakers, however most of them are initial weaker then Ice cards. The runner will need to use money to increase the power of his icebreaker. When the runner gets throught all of the Ice on that server, the run is successful. Now, he can steal any cards where he has access on. On a "remote server", he can access to the single card that was installed. On other servers, he can access the entire discard pile or a random card from the corporation's hand or the top card from the draw pile of the corporation. The first player to score seven agenda points wins the game. The games offers also many expansions and extra data packs. So, you have a number of options to develop your collection of cards. 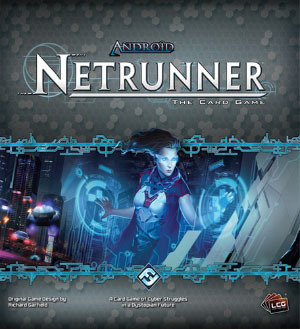 Android: Netrunner was created by Richard Garfield, the famous author of Magic: the Gathering. The objective for both players is to score seven agenda points. The Corporation scores agenda points by advancing agendas; the Runner scores agenda points by stealing agendas from the Corporation. Agendas are cards that only appear in the Corporation's deck. 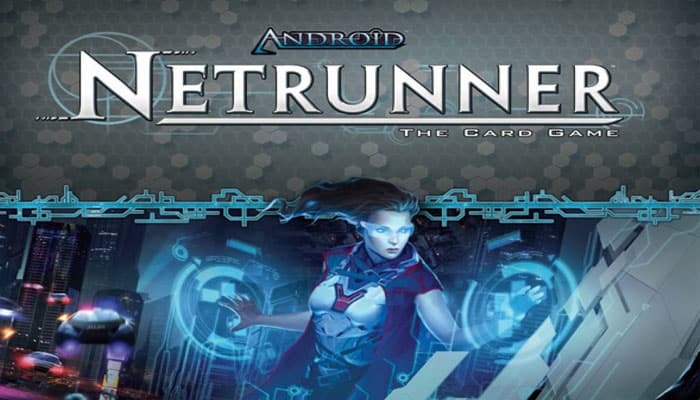 Runs are the heart of Android: Netrunner, and provide opportunities for the Runner to steal the Corporation's agendas and trash his cards. 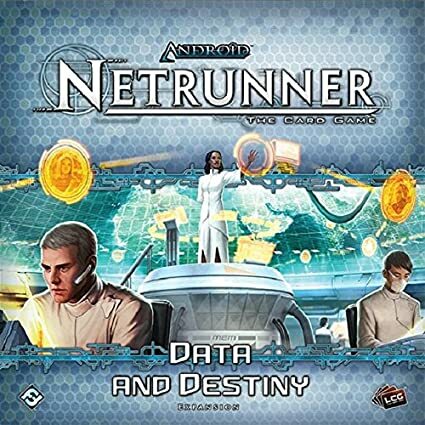 In a run, the Runner attacks one of the Corporation's servers in an attempt to access cards, using his installed programs to help him pass the Corporation's ice. 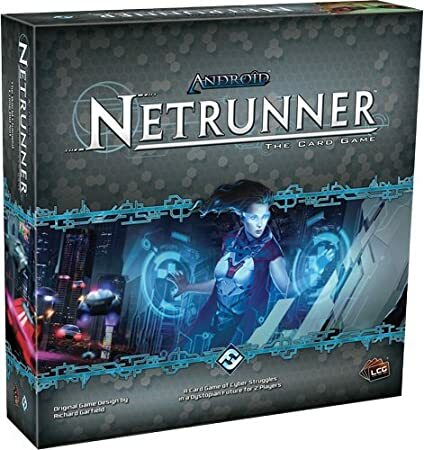 Though the Corporation spends much of the game repelling the Runner's intrusions, traces and tags give the Corporation opportunities to attack the Runner. Some card abilities initiate a trace on the Runner. Traces are marked by the language "TraceX" on a card, with X equaling the base trace strength of the trace. Traces pit the Corporation's trace strength against the Runner's link strength, both of which are increased by spending credits.